This was selling for $9.99 last week and is now the lowest price ever from Amazon. Powerful sound – deep base and clean treble for clear sound. Comfort fit ear tip buds – soft color matched ear buds for perfect fit and sound. Long cord – long cord 3.3ft with standard Headphone Jack for easy connect to Android or iPhone With common standard 3.5mm headphone input. Extra ear tip earbuds included – small, medium, and large ear tips are included with every earbuds. Adjust the fit for perfect sound for your ear. 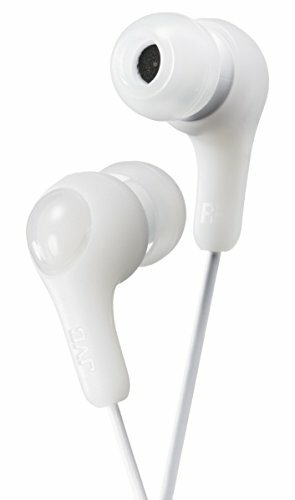 3 Comments On "JVC Gumy Earbud Headphones For $4.99 From Amazon"
Are these good headphones? Is JVC considered well? Only the white ones are $4.99.